Orlando has over 20 golf academies and more than 170 golf courses where some of the world’s most prestigious tournaments being played today. The pristine Orlando Golf Communities draw more pro golfers than any other city in the world, which is why Orlando was voted the “North American Golf Destination of the Year” by the International Association of Golf Tour Operators. 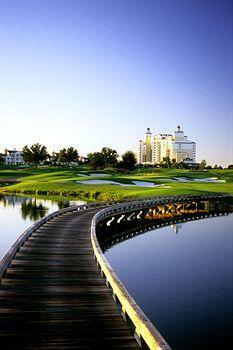 Orlando Golf Homes are also available in every golf community so ask us for a list. The golf facilities in Orlando are second to none and the choices of where to play are never ending…just like our perfect weather. While it rains and snows in other places, Orlando golfers are outside, taking advantage of Orlando’s perfect golf weather. Orlando Golf homes are prized property and available everywhere. Orlando golfers can pick courses from many beautiful choices with varying degree of difficulty from basic fun courses to lavish championship style that will really challenge your skills and push you to a higher level. Whether it’s a public, semi-private, or private golf courses, you are never more than a 10-15 minute drive to a gaming delight. There are Orlando Golf homes where you can even golf from your backyard. There are several private golf courses, but overall most of the Orlando golf homes are on courses in a residential community and considered semi-private. Unless it is a private golf course, the golf course is open to the public and it is not mandatory that you purchase a golf or social memberships when you purchase Orlando golf homes in the golfing community. If you choose to purchasing a golf or social membership, that will also provide additional discounts on green fees or restaurant fees, and access to additional club house amenities. The Home Owners Association fee does not include privileges to use the golf course and cost is separate from any golf membership fee. Some private golf courses require the mandatory purchase of a golf membership when you purchase Orlando golf homes within the golf community. Each community has their own rules, so let us know if you need additional information…it will also be our pleasure to provide information on Orlando Golf Homes or set an appointment to view any homes. Bay Hill Country Club is centrally located in Dr. Phillips which is a convenient location near downtown Orlando and also close to tourist attractions at Kissimmee. Bay Hill Country Club has a variety of real estate for sale from condominiums to single family homes, some which even border Lake Tibet, Lake Chase, Lake Sheen, and Lake Blanche. There you can find Lake Front Estates and homes with Golf Course Frontage. Bay Hill is a well known community which offers a private golf course called Bay Hill Club and Lodge, with a special designated course for the PGA Tour for Arnold Palmer Invitational. 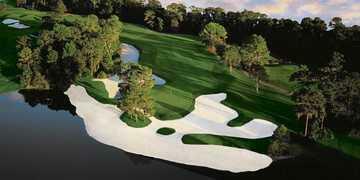 Its 27 holes, are majesty laid out around the Butler Chain of Lakes. Bay Hill Club also Tennis Courts, Salon, Spa, Fitness, swimming and social events. Isleworth, one of the most exclusive communities is located in, located next to Dr. Phillips. This guard gated community is spread over 600 acres, nestled along 7 miles of the Butler Chain of Lakes. The golf course originally built by Arnold Palmer was refurbished in 2003 by Steve Smyers and famed for one of the longest and toughest championship courses. Golf membership is by invitation only. The clubhouse offers an array of luxury amenities and concierge services, including hard and clay Tennis Courts, Spa, Fitness Center, 2 Dining Restaurants. The homes have spectacular views with both Lake and Golf Frontage. This private community offers a dock, boat access and playground. Lake Nona Estates is a 600 acre premier community, in the heart of the fastest growing area of Orlando. Lake Nona Estates is part of the 7,000 master planned Medical City and golfing here is private for residents only and their guests. The 18 hole championship course is beautifully designed by Tom Fazio, and has lush canopy trees and water views. 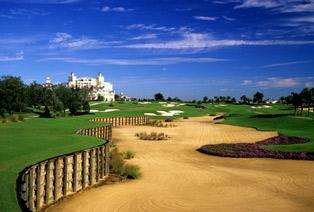 This course is host to the PGA Tour and Tavistock Cup. The course is complimented by the Clubhouse, Lodge, and Racquet Club offering the best in Tennis Courts, Fitness Center, and Dining. The community also offers Boat Dock and Boat Ramp, and onsite boat storage. Homes here are exquisitely custom built offer the best water and golf views. 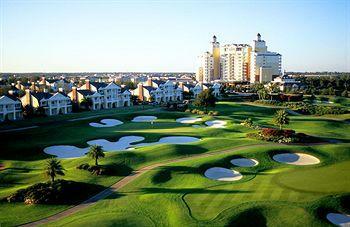 Reunion located in Kissimmee, Florida is a unsurpassed luxury vacation resort minutes from Disney. Reunion is the only community in the world offering three signature golf courses from the golf legends Arnold Palmer, Tom Watson, and Jack Nicholaus all in one place. Check out the beautiful golf courses Reunion was originally developed by the Ginn Corporation, covers 2,300 acres and offers first class homes and amenities. These luxury homes consist of condominiums, townhomes, and luxury estates. As an Exclusive Buyers Agent, we can help you find the right golf course community to live, golf, and even enjoy lush green golf course views right from your home. Ask us for a list of Orlando Golf Homes. 407-539-1053 or e-mail.